Zombies aren’t a concept that comes to mind when thinking of the battle royale genre. If Treyarch has its way, Blackout will change that. Black Ops 4 brings the series’ signature mode to battle royale. Well, pieces of it at least. "Blackout is intended to celebrate the entire legacy of the series, not just the content we’ve created over the years but the fans and what they love,” says co-studio head Dan Bunting. 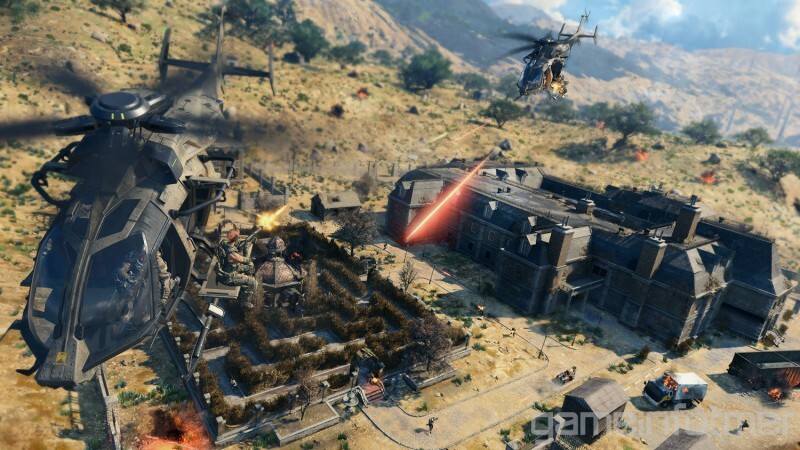 With much of Blackout’s map literally made out of remixed versions of multiplayer maps from previous entries, and its progression system hinging on unlocking favorite characters from the franchise, it would seem odder to leave zombies out of the equation than anything else. However, don’t think you’ll be wandering the wild and come across a horde of undead foes. 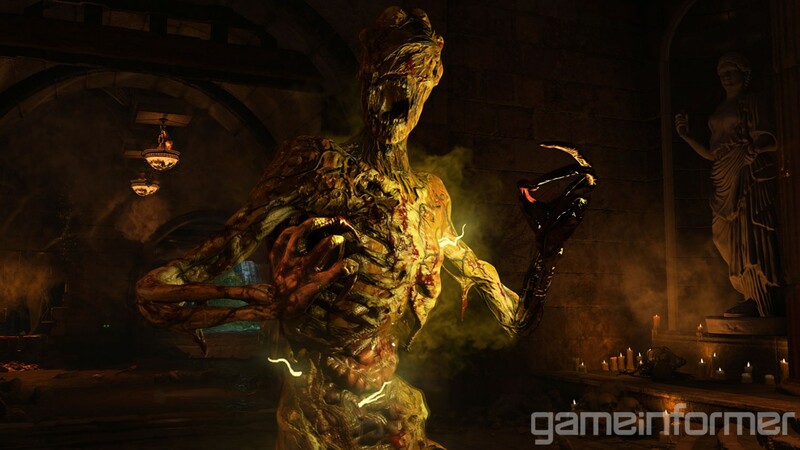 Zombies are kept tied to several zombies mode-inspired locations on the map, like Asylum or Lighthouse. These destinations have the potential to spawn the undead. It’s up to you if you want to go investigate the ray of light that appears over one of these locations, signaling the monsters are about. Both reward and danger await you. "The zombies actually drop items for you if you shoot them…usually,” says studio design director David Vonderhaar. “The concept of the zombie supply stash is the Blackout equivalent of a treasure chest. But it’s a Call of Duty treasure chest; good stuff’s in it.” It's a risky play, zooming toward the rotting danger, but it might also be your best bet for finding decked out weapons and valuable items. Unlocking characters from Black Ops’ various zombie modes in Blackout as player models means fighting zombies and investigating their lairs, so you're going to have to take them on if you want to play as series favorites like Edward Richtofen. Asylum, one of the zombie-spawning locations. “It’s just fun to collide the worlds, to be frank,” Vonderharr adds. Whether or not the two modes of gameplay mix well or not in the long run remains to be seen. During my two-hour demo, I visited the Asylum and became embroiled in a tense fight. However, it was what came after all the undead stopped moving that was truly terrifying. As I slowly moved around the fittingly creepy checkered floors, sunlight pouring through the torn ceiling, I could hear the footsteps of living, armed-to-the-teeth foes grow louder. Eventually, I abandoned a potential prize, leaping out a broken window in a bid for survival. Though it was a brief experience, I came away believing the addition of zombies adds something compelling to battle royale that made the tension all the more palpable.